Our education program, Weatherford WISE (Worldwide Initiative Supporting Education), focuses on STEM (Science, Technology, Engineering, and Mathematics) and educating women in energy. On February 18, 2017, our geologists had a wonderful time at the Girls Exploring Math and Science event hosted by the Houston Museum of Natural Science and the Girl Scouts of San Jacinto Council. 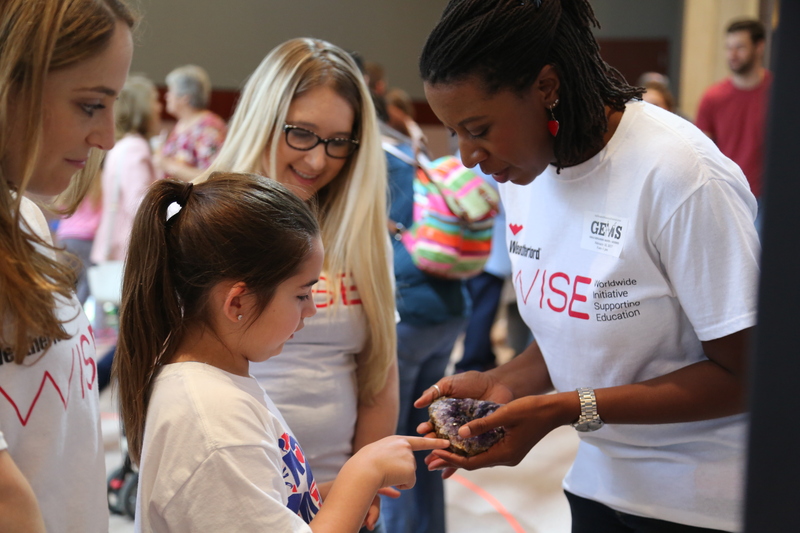 The event was packed with hands-on opportunities, community booths, science professionals, and young girls sharing their love of STEM — which is what the Weatherford WISE program is all about. More than 1,700 visitors attended the event and it was wonderful to see young minds excited about STEM. We look forward to participating again next year.